On September 25, 1934, a wealthy construction tycoon from Sheffield named Charles Boot spent around £35,000 on the purchase of Heatherden Hall, a Victorian country house located 17 miles west of London. Over the next two years, at a cost of over £1m, more than 1500 workmen and 46 contractors used 2,300 tons of steel, 20,000 cubic yards of concrete, 15,000 yards of asphalting, 300,000 yards of sound-proofing, 6 million bricks and 60 miles of electrical installation wires to transform the Buckinghamshire estate into Pinewood Studios. The building work resulted in a film production studio “to rival those in Hollywood and make Britain a truly international film producer” (Glaser 7). By the autumn of the following year, prolific British director and producer Herbert Wilcox, completing the shoot of his thirty-first film feature London Melody (1937) on the ‘D’ Stage at Pinewood, described the studio “as great an improvement on the traditional British studio as the modern home is on the Victorian forerunner, proving that efficiency, economy, and hygiene can be secured without loss of comfort […] and where the provision of communal facilities will afford opportunity for the ‘shop-talk’ which has made the Hollywood studio worker a white-hot enthusiast” (Wilcox qtd. in Glaser 7). Boot was first attracted to the idea of constructing a film studio by Sir Auckland Geddes, a British academic who proposed the creation of an English Hollywood after touring the Californian studio lots in the late teens. Geddes persuaded Boot that it was the “close-to-the-job” life offered by a collective filmmaking community that was the secret to Hollywood’s success, and that such a model could be replicated in Britain. The pair attempted to build a studio at Elstree in the early 1920s, but their plans fell through due to conflicting business interests. Geddes lost interest in the project, but Boot maintained his ambition to construct the English Hollywood. In fact, the very name of the studio was aspirational; as Boot explained, “it seemed to suggest something of the American film centre in its second syllable” (qtd. in Glaser 9). An opportunity presented itself in 1927 with the sharp increase in demand for studio space that came with the introduction of the Cinematograph Films Act. The Act was intended to aid a failing British film industry that was struggling against US competition, and dictated that an increasing number of British films should be made and released on a sliding scale over a ten-year period so that, by the end of the 1930s, the number of British productions should total at least 20 per cent of all films exhibited in the UK. Though the Act brought about the age of the notorious ‘quota-quickies’ (low-quality films produced quickly and cheaply in order to fulfill the annual government quota), it did go some way towards increasing British film production. The surge in demand for studio space convinced Boot to purchase Heatherden Hall, a location which offered enough space for the construction of a film studio of sufficient size. Seeking support for the project, Boot acquired the financial backing of J. Arthur Rank, a flour magnate who would later become one of the presiding moguls of British cinema, and Lady Yule, a millionaire heiress widow who stated that her interest in film was merely “to combat boredom” (Owen 10). These three millionaires were the first major shareholders of Pinewood Studios Ltd., and oversaw the building of the studios. Boot also purchased land next to Heatherden Hall with the intention of building a township for studio workers to replicate the “close-to-the-job” life that Geddes had vowed was the secret to the success of Hollywood. However, this part of the construction was not realized during the rapid first phase of building that occurred between 1934 and 1936. Over the following 74 years Pinewood established itself as the leading British film studio, home to a number of well-loved (and lucrative) British franchises, most notably the comedies of Norman Wisdom (1948-1969), the Carry-On series (1958-1992) and the James Bond franchise (1962-present), with a sound stage being named after famed Bond producer Albert R. Broccoli in 1976. Pinewood established an international reputation for its world-class talent and professional production crews. It was also home to innovative craftsmen, such as art director David Rawnsley, who pioneered the ingenious Independent Frame back-projection system in the late 1940s. The unpopularity of Rawnsley’s system with actors at the time meant that it failed, but it was eventually rehabilitated and contributed to cutting-edge work on Hollywood productions such as Superman (1978) and Batman (1989). Pinewood retains its reputation for technical excellence to the present day. 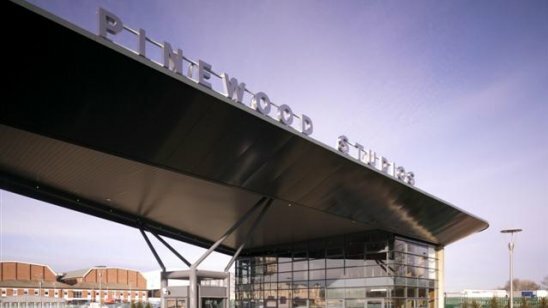 As Screen International journalist Geoffrey MacNab notes, “There are two main reasons why film producers choose one studio over another: cost and efficiency; while Pinewood hasn’t always been the cheapest place to shoot movies, what it has consistently offered is a level of technical expertise which nowhere else could match” (32). However, despite such success, Pinewood ultimately struggled to form the sustainable British film industry that its founders envisioned. Heatherden Hall did not become the Hollywood hills, and the studio system “close-to-the-job life” that Boot had wanted to establish through the construction of an accompanying township was never realized, and subsequently the growth of a “film community” did not materialize. Nevertheless, Pinewood made a virtue out of its technical strengths, skilled workforce and flexibility. The growing popularity of the small screen saw Pinewood host television production from the 1950s, and the studio now has a Media Park that hosts over 300 independent media companies. Pinewood has become known as a home for Hollywood ‘runaway’ production, with the major studios taking advantage of a highly skilled workforce to produce long-running franchises such as the Harry Potter series (2001-2011). In 2010, Pinewood hosted five high-profile Hollywood productions that shot principally in 3-D. The Pinewood Studios Group of today bears little resemblance to the studio that was opened by Boot, Rank and Yule in 1936. A takeover in 2000 which installed CEO Ivan Dunleavy and Chairman Michael Grade marked a watershed moment, and in the next ten years Pinewood merged with Shepperton and Teddington studios to maximize efficiency and better cater to the demands of large-scale productions. The Group also acquired properties in Toronto, Berlin, Malaysia and most recently the Dominican Republic, transforming Pinewood into a truly international business. The establishment of a sales office in Los Angeles in January 2011 marked the desire to attract lucrative US production. Steve Jaggs, the managing director of Pinewood, explains that in an increasingly competitive international marketplace, an aggressive international strategy is crucial to “ensuring we have the quality of facilities and management cooperation to give the client value for money” (qtd. in Bright 329). This ambitious approach has been boosted by the inclusion of film tax relief in the 2006 Finance Act. Intended to attract international film production, the film tax relief offers a tax deduction of 100 per cent for British films costing under £20m, while British films costing in excess of £20m could receive an additional deduction of 80 per cent of qualifying UK expenditure, amounting to a benefit typically worth 16 per cent of qualifying production costs (Oxford Economics 9). The terms of what constituted a British film were left deliberately loose in the Act, stating that a film that spent just 25 per cent of its production budget in the UK would class as a co-production, and this has subsequently been key in attracting inward-investment to British studios. Large-budget Hollywood productions such as Captain America: The First Avenger, X-Men: First Class, Hugo and Pirates of the Caribbean: On Stranger Tides (all 2011) undertook their principal photography at Pinewood-Shepperton last year, attracted in part by the savings made available through this tax break. High demand has meant that Pinewood enjoyed a 20 per cent rise in operating profit in 2010, and it has been experiencing similar growth in the past ten years. Hoping to capitalize on this, the Pinewood Studios Group have proposed two initiatives that, if successful, could finally establish a sustainable British industry as well as mark the fulfillment of its founder’s original vision. In March 2011, Dunleavy announced proudly that “Pinewood would return, on a small scale, to its heritage in British film production” (qtd. in Neate). Encouraged, no doubt, by the $245m profit of The King’s Speech (Tom Hooper, 2011), Pinewood plans to provide co-investment support to low-budget British productions, looking to invest up to 20 per cent equity in four productions each year. Along with this small investment, Pinewood will offer access to studio space that is not occupied by larger projects, as well as technical expertise that would usually be beyond small-scale budgets. Roger Morris, the managing director of Elstree Studios (which is currently cited by industry sources to be hosting Disney, Warner Bros. and Paramount productions) explains that “The King’s Speech has stimulated a whole new genre of British film industry excitement and future investment” (qtd. in Alberge). A further initiative is the development of Project Pinewood: 1500 homes to be built next to the Pinewood estate and intended to act as accommodation for a creative community while also providing shooting streetscapes for production locations. 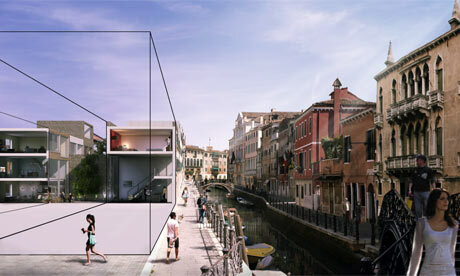 This unusual idea would see streets designed as “generic” versions of well-known cities, such as New York, Prague, Vienna, Venice, and so on, providing non-specific period design that can cater for the demands of set-designers. The project would not only provide housing for film crew, it would also host new creative businesses that would rival the resources of Hollywood studios, while possibly providing the “shop-talk” that Wilcox forecast 78 years ago. Project Pinewood would also fulfill a UK Government policy of creating so-called “creative clusters”–business hubs intended to encourage collaboration and co-operation between people of diverse and interchangeable skills. However, the decision to build on green belt land has meant that the project has encountered difficulties: Buckinghamshire County Council turned down planning permission in 2009 and after a lengthy appeal period a public inquiry began on the April 5 2011, in which Pinewood and the campaign group Stop Project Pinewood will put forth their arguments for and against the project. The Secretary of State will make the final decision after the hearing concludes in May 2011. Whatever the outcome, the recent £96m acquisition of Pinewood by Peel Holdings (the company behind the current BBC development at Salford Quays) suggests that radical change could lie ahead for the Buckinghamshire estate. Even if the plans are turned down and construction of Project Pinewood does not go ahead, recent initiatives demonstrate how, despite its considerable success in the past 75 years, Pinewood is still endeavouring to achieve the unfulfilled ambitions of its original founder, Charles Boot. Alberge, Dalya. “The King’s Speech Puts Elstree Studios Back on the Map for Hollywood Moguls”. The Observer. 1 May 2011. Web. 15 May 2011. Bright, Morris. Pinewood Studios: 70 Years of Fabulous Filmmaking. London: Carroll & Brown Publishers Ltd., 2007. Print. Glaser, Gregg. The Formation and Early History of Pinewood Studios. New York: Ithaca Pub, 1975. Print. MacNab, Geoffrey. J Arthur Rank and the British Film Industry. London: Routledge, 1993. Print. Neate, Rupert. “Pinewoood to Invest in Low-budget British Films”. Telegraph.co.uk. 08 Mar. 2011. Web. 01 May 2011. Owen, Gareth. 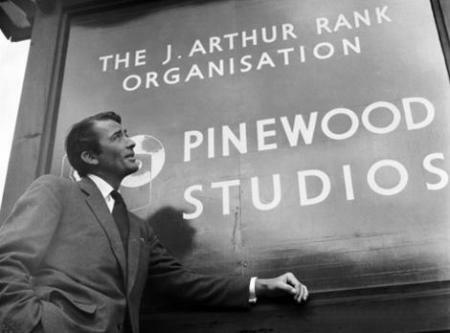 The Pinewood Story: The Authorised History of the World’s Most Famous Film Studio. Surrey: Raymond & Hearn, 2000. Print. Perry, George. Movies From the Mansion: A History of Pinewood Studios. London: Elm Tree Publishing, 1982. Print.